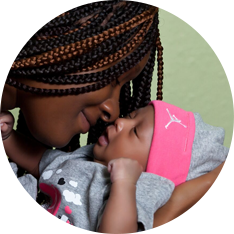 In 2017, 1,521 pregnant women and men at risk for abortion came to Hope Women’s Centers and chose life for their unborn children! Hope Women’s Centers partners with over sixty churches and hundreds of individuals and businesses in Broward to meet the needs of women and men who come to Hope for help everyday. Our mission is clear, Hope Women’s Centers exists to encourage and equip women and men to make informed decisions regarding unplanned pregnancies. our loyal, committed male & female volunteers! invest in our life-affirming work as well.